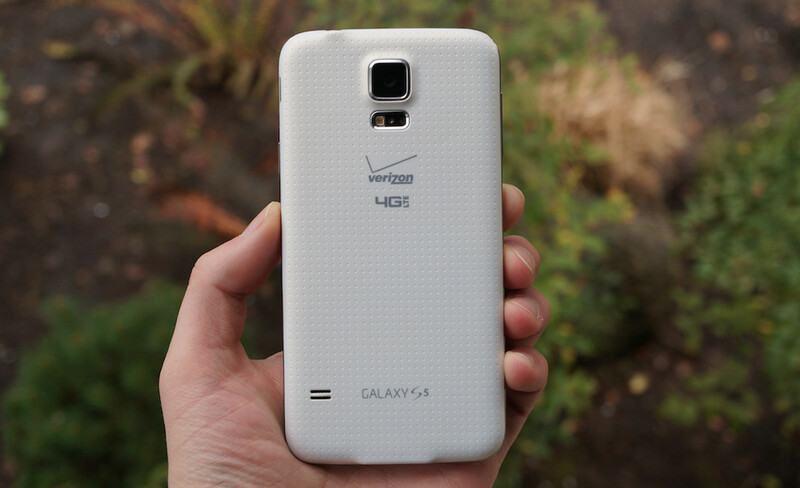 Verizon approved an update today for their variant of the Galaxy S5 as build G900VVRU1ANE9, but leaves the phone at Android 4.4.2. The update looks like a massive bug fixer, as it includes improvements to performance, brings updates to bloatware, and addresses all sorts of issues. In the update, users will find new versions of Caller Name ID, Message+, and Cloud. Once past the bloatware, issues like better connectivity when streaming music, Gear Manager stability, and Visual Voicemail working when a Samsung Flip Cover is closed have all been resolved. To view the full changelog, jump below. 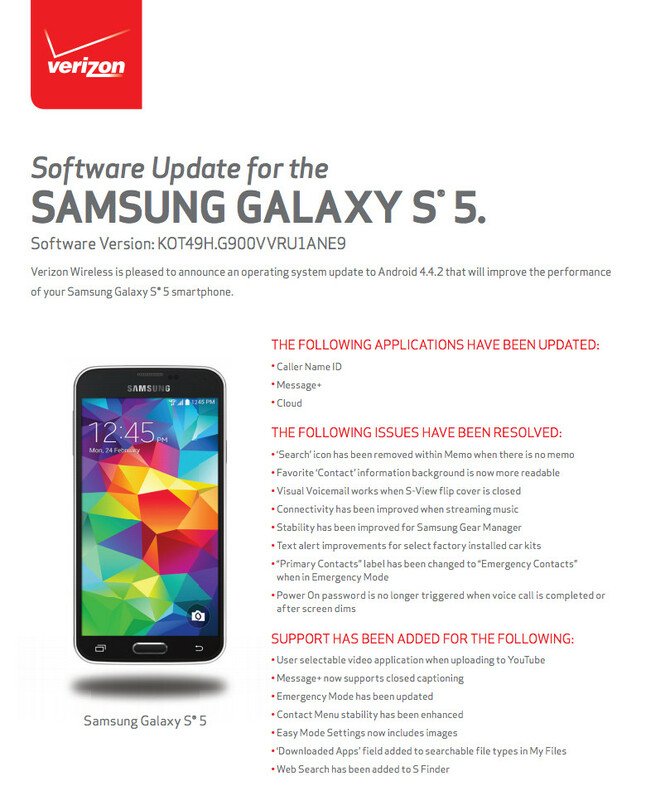 Again, there aren’t any new features, Verizon and Samsung seem to be using this update to improve the phone’s performance. To check for the update, head into Settings>>Software update.